Italian cuisine has found its way into the hearts and stomachs of Americans. We love our hearty pastas, and pizza has become a main food group in our diets-but you may not be familiar with authentic Italian dishes or know the difference between northern and southern cooking. Northern Italian dishes are more influenced by their European neighbors, including Switzerland, Austria and France, using more rice, creamy sauces and beef. Southern Italian cooking, on the other hand, features ingredients such as olive oil, capers, peppers, seafood and pasta. Whether you prefer one style or love all Italian food equally, there are countless recipes to experiment with. A typical Italian meal can be comprised of three to five dishes, sometimes more, and each course can be complemented with a different bottle of wine. This is not to say that you need to have multiple courses to get the authentic Italian dining experience. The wonderful thing about Italian cooking is its versatility. Stand-alone pasta dishes or meat entrées can feed an entire family, or you can opt for multiple appetizers for a lighter meal. One thing that is nonnegotiable, however, is the pairing of a great wine with your food. Antipasto Advice: The beginning course in Italian dining often contains a variety of olives, nuts, cheeses, meats and raw or roasted vegetables. Keep the wine fairly light so it doesn’t overpower the flavors of the hors d’oeuvres. Chilled white wines such as Pinot Grigio, Sauvignon Blanc, Vernaccia, Soave and Chardonnay do well. Asti, Cava, Prosecco, Champagne and California sparkling wines also complement the salty, oily flavors of this course. Light red wines-Lambrusco and Pinot Noir-can also pair nicely. Pasta Pairing: The best advice is to match the wine to the color of the sauce being served. A buttery alfredo sauce is complemented by a dry Chardonnay or Pinot Grigio. Meanwhile, Chianti is the quintessential match for a tomato-based sauce. Meatballs go well with Chianti, as well as Barbera, Dolcetta and Zinfandel. Meat Main: Most traditional Italian main courses include meat, poultry or seafood, so it’s wise to select a wine based on that element. But it’s not just the meat that matters; how it’s cooked factors in as well. Roasted beef entrées, for example, demand a lush red wine like Chianti. Similarly, roasted poultry pairs well with a rich red, but boiled poultry is better with a younger, drier red. Seafood is simpler; white (Chardonnay, Sauvignon Blanc or Viognier) always works. But for meatier fish, consider a blush like Grignolino or Castel del Monte. The average person in Italy eats more than 60 pounds of pasta every year. 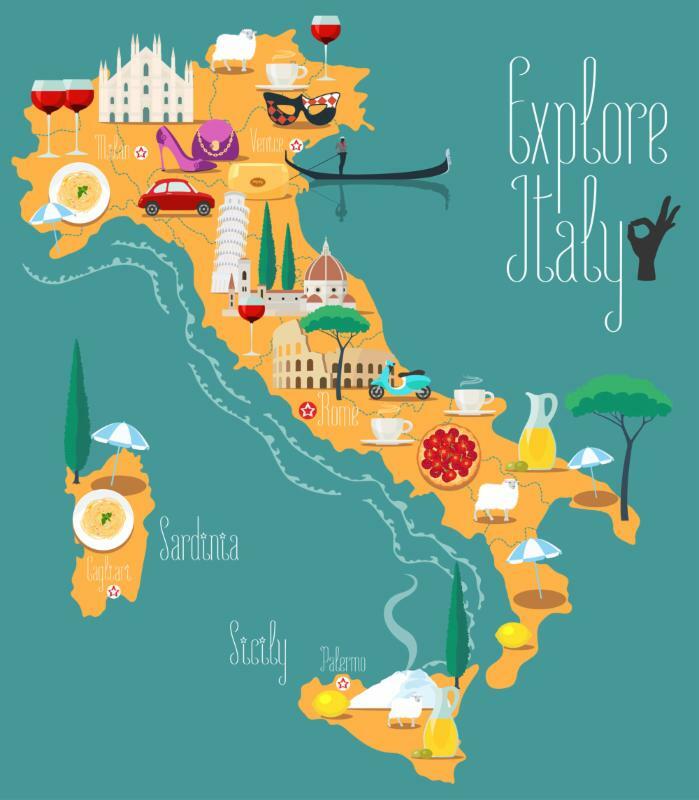 Italy is the top wine-producing country in the world according to the International Organization of Vine and Wine, having produced 50,900 hectoliters of wine in 2016, compared to France’s 43,500 hectoliters. And with over 2,000 grape varieties planted, you know there will always be a terrific wine pairing with any Italian dish, from hearty polenta in the north to fresh seafood on the southern coast. 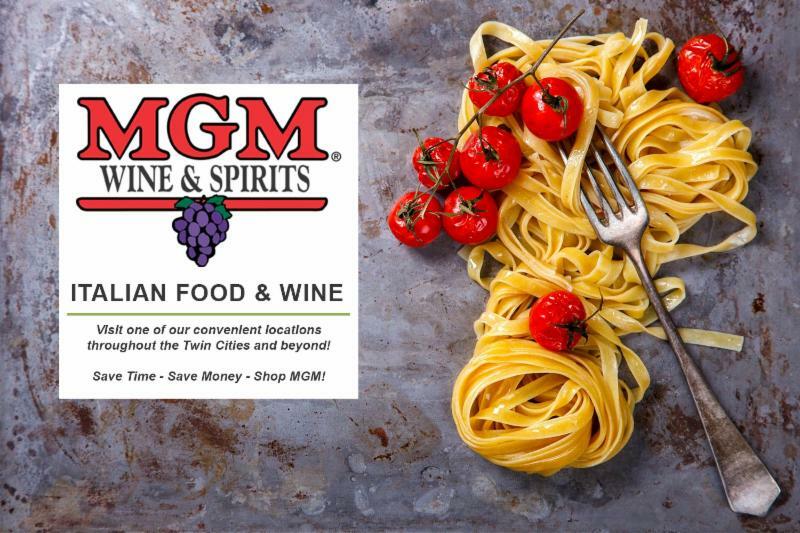 Some of the most famous Italian wines include: (reds) Amarone, Barolo, Bolgheri, Brunello di Montalcino, Chianti, Gattinara, Nobile de Montepulciano, Taurasi; (whites) Erbaluce, Fiano di Avellino, Gavi di Gavi, Greco di Tufo, Lacryma Christi, Soave, Verdicchio, Vernaccia di San Gimignano. Preheat oven to 400°F. 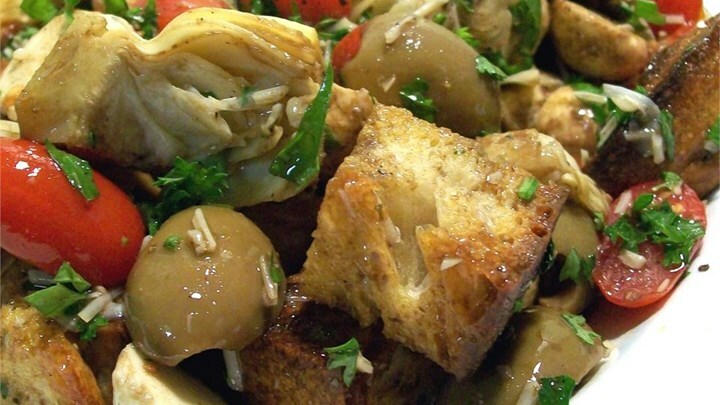 In a large bowl, toss bread with ⅓ cup olive oil, salt, pepper and garlic. Lay bread on a baking sheet and toast in the preheated oven until golden, about 5 to 10 minutes; allow to cool slightly. While the bread is in the oven, whisk together ¼ cup of olive oil and balsamic vinegar. Gently toss together the bread, tomatoes, onion, basil, olives and mozzarella cheese. Toss with the vinaigrette and let stand for 20 minutes before serving.